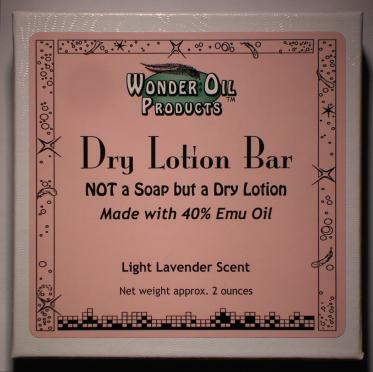 Dry Lotion Bar with a Light Lavender Scent. NOW with a pale lavender color. Ships in a 3 1/2 x 3 1/2 x 1 inch padded box as shown. Carry around in the box or for home use simply place in a dish. It will not dry out and will last for months.